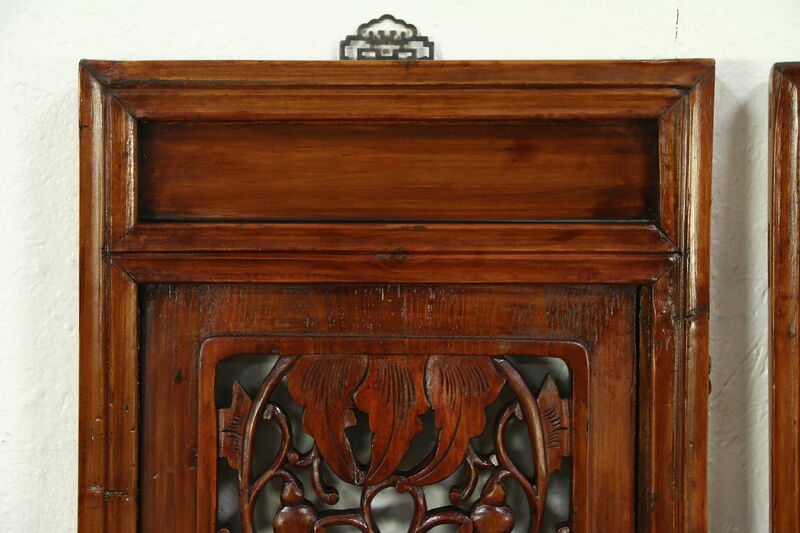 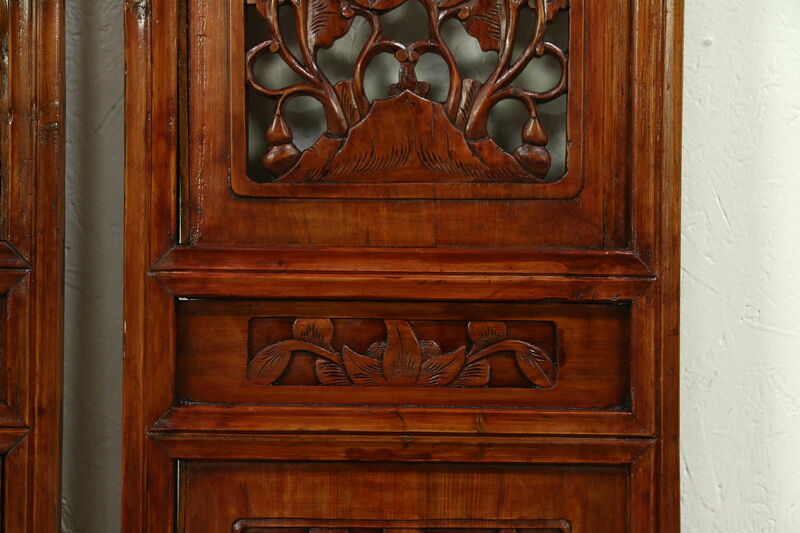 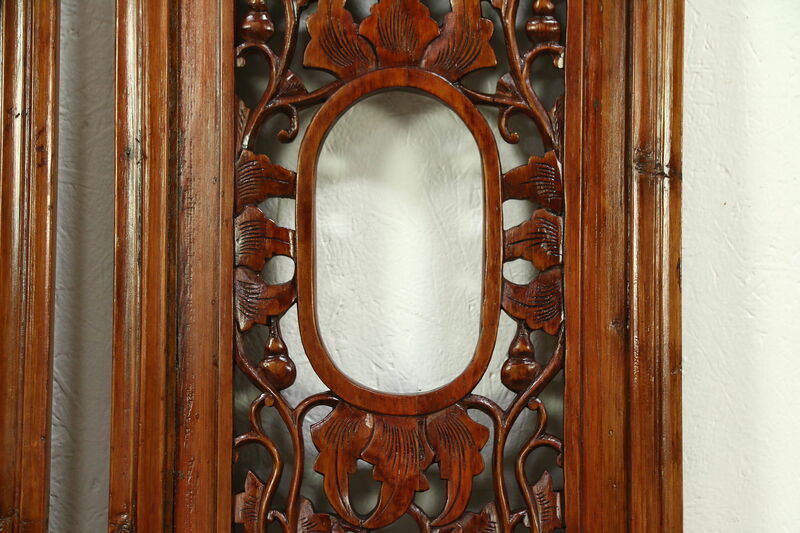 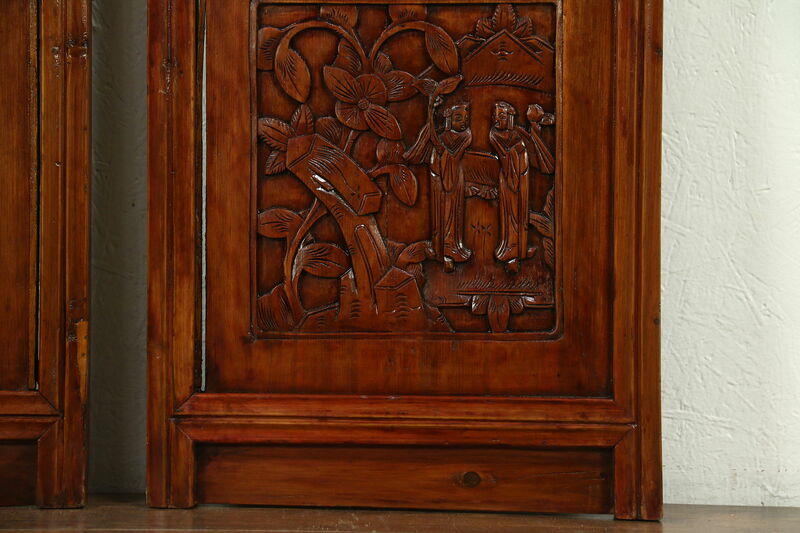 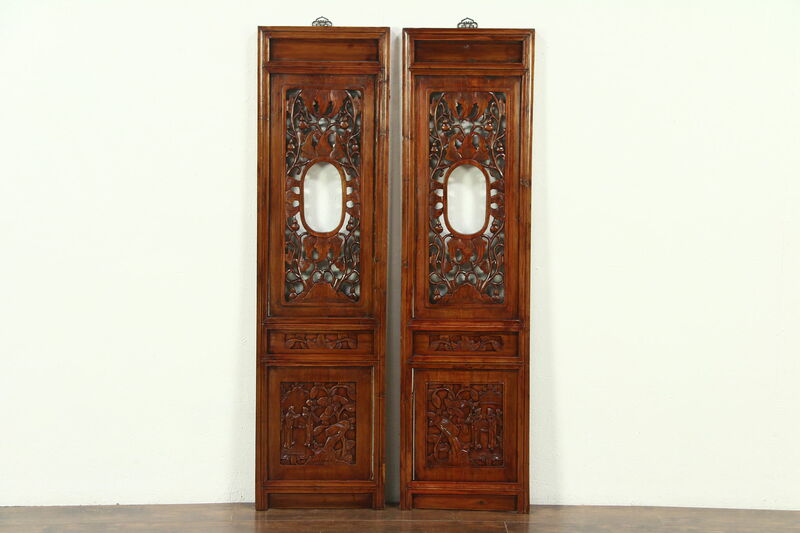 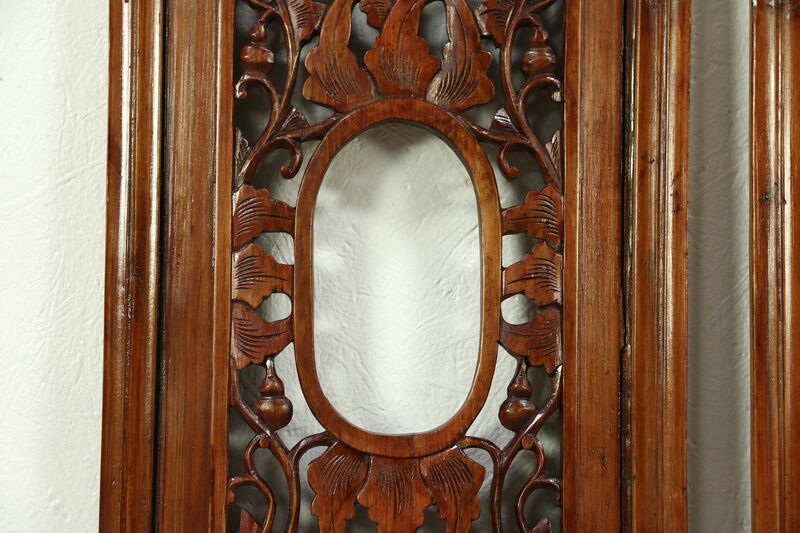 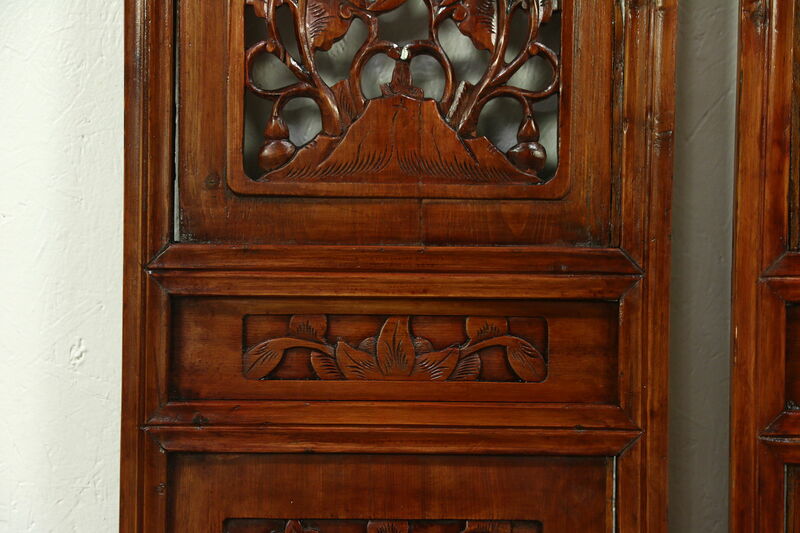 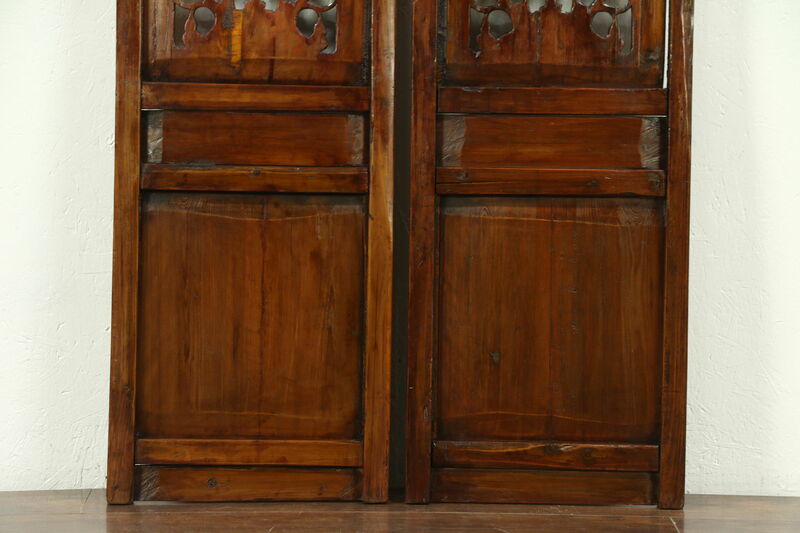 A pair of hand carved and pierced panels are architectural salvage from China. 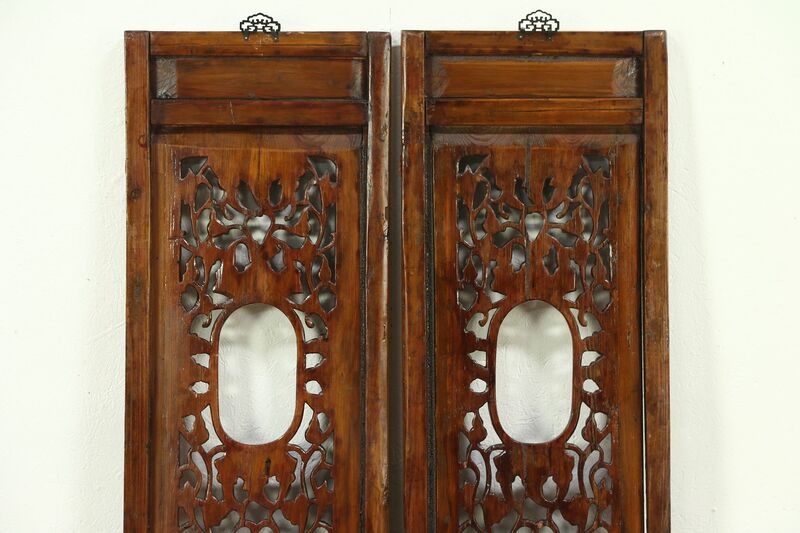 Brass hangers allow wall hanging, this pair could also be on the floor, used as doors or hinged to make a screen. 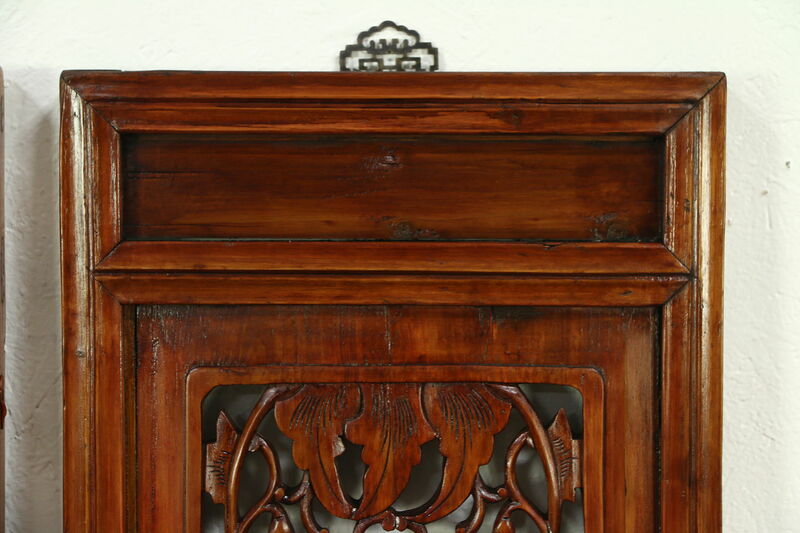 The renewed finish is in excellent condition on these Asian antiques from about 70 years ago. 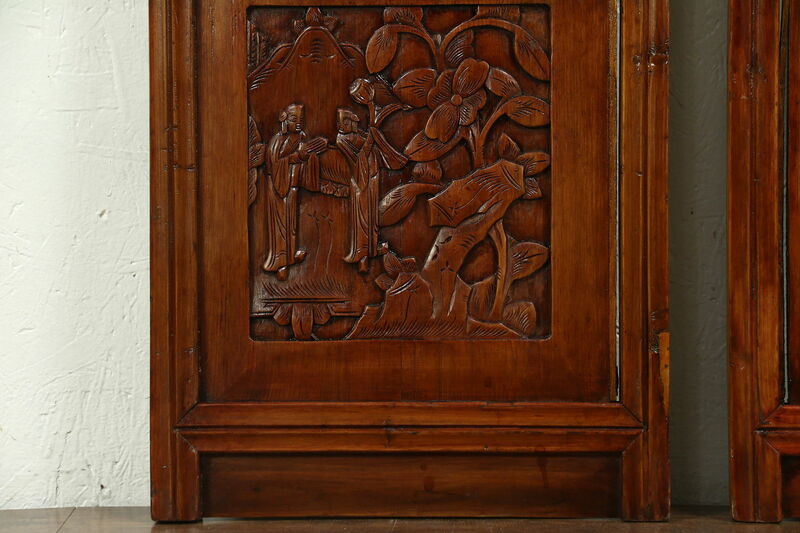 Traditional garden scenes have shrinkage separations from age, see photos. 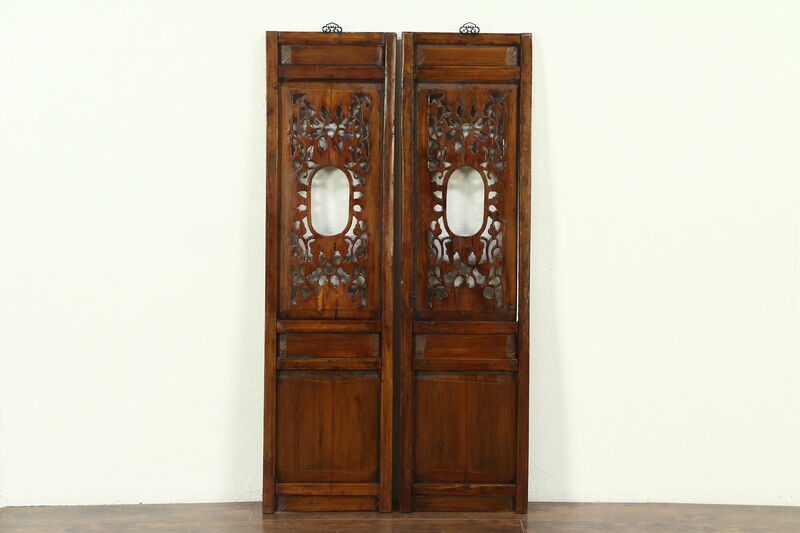 Each door measures 15 1/2" wide x 1 1/2" deep x 59" high.